This DeployBot deployment guide explains how to launch a website powered by Craft CMS with a proper development environment and workflow behind it. You’ll set up a local development environment, put Craft theme and config files under version control with Git, create and configure a new DigitalOcean droplet, install Craft on it, and then deploy your theme and configs to a live website with DeployBot code deployment software. 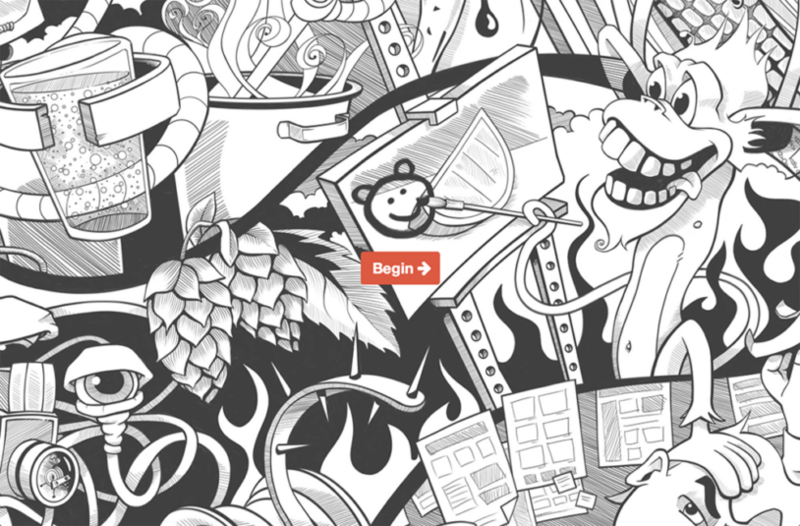 Never heard about the Craft CMS before? It’s a superb content management system that provides an incredible amount of control to developers, while staying simple and elegant for users. Recently, we migrated our very own Wildbit website and blog to it and couldn’t be happier. Once that’s done, there should be a setup screen with a monkey on it at http://‌localhost:8888/admin. This is where you complete a basic setup, creating database tables for Craft and generating a license key. Before you start making any changes to the website let's get its files under version control. Start with creating a new blank repository on GitHub, Bitbucket, Beanstalk, or any other Git hosting service. Craft CMS has one-click updating, so you won’t need to download and update it manually. Normally you should keep both local and production environments up to date to avoid misconfigurations and security issues. It may sound like a good idea to update your local environment, commit changed files, and then deploy them to a production server, but some updates involve database migrations that will inevitably break your live website. A better strategy is to update your local environment first, make sure that everything works, and then update production environment (in this case, a DigitalOcean droplet) separately. Now it’s time to create a LAMP (Linux, Apache, MySQL & PHP) droplet at DigitalOcean and prepare it for deployments that will come from DeployBot. 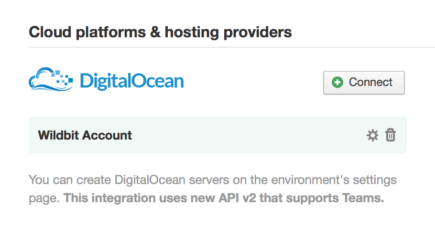 In DeployBot go to Settings → Integrations and connect your DigitalOcean account. 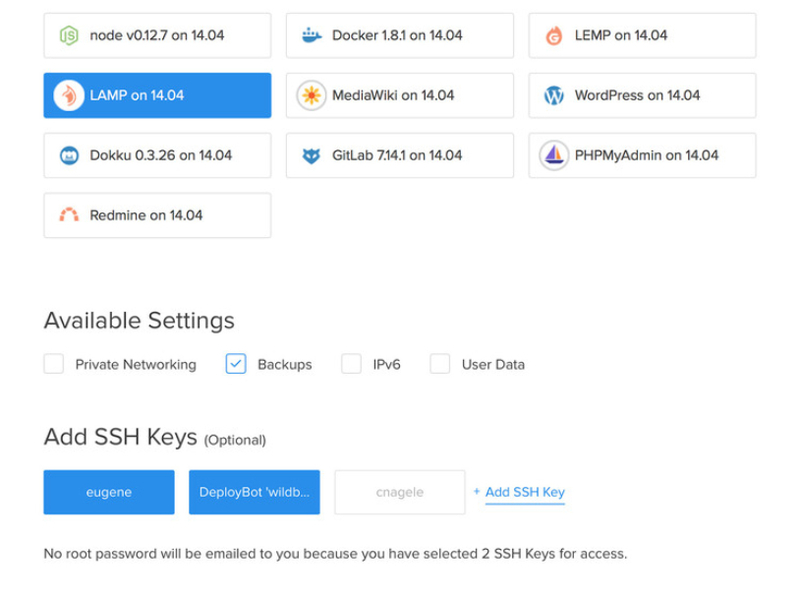 DeployBot’s SSH key will be added to a list of public keys at DigitalOcean, so you can easily add it to any new droplet. 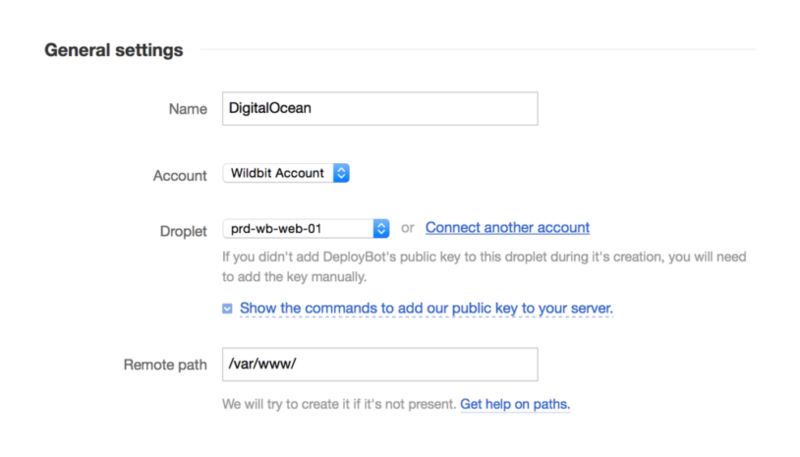 Create a new droplet in DigitalOcean. Craft sites will run just fine on their $10/month option with 1 GB RAM. In the Image section switch to the Applications tab and select LAMP on 14.04. I recommend enabling their weekly backups in Available settings. Weekly backups cost 20% of a monthly droplet bill, but getting peace of mind for $2 a month is totally worth it. Under Add SSH Keys enable your personal key and DeployBot’s key. It shouldn’t be too hard as you already went through a similar process in your local environment, although there are some notable differences. Use an FTP client to copy craft and html directories into /var/www/. 6. Run mysql_secure_installation to prepare MySQL for use in production. Let’s configure the production environment. Craft has great built-in support for multiple environments. I recommend you read their guide, then add production environment details to both general.php and db.php. 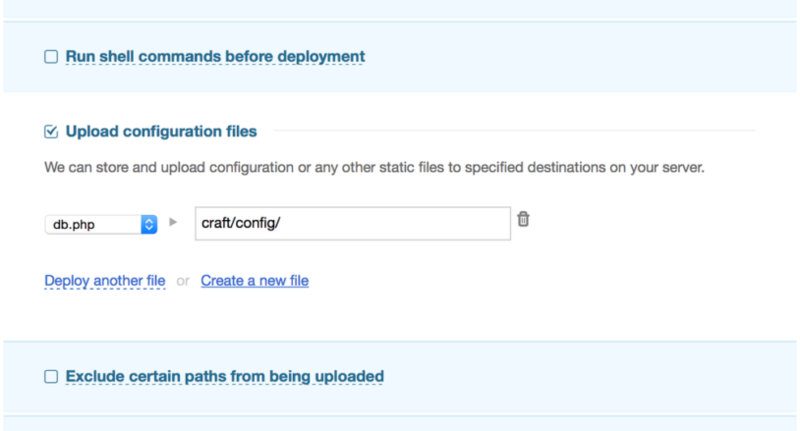 In DeployBot connect your repository with Craft files and create a new environment. In general it’s better to keep your production environment in Manual mode to avoid unintended deployments, but while setting things up it’s convenient to keep it in Automatic. If automated code deployments make you nervous, you can always change it later. Time to add a target server — choose Files deployment to DigitalOcean. (While we generally recommend using our Atomic deployments, in this case you’re only deploying theme and configs so Files deployment is a simpler option.) Choose your droplet and set Remote Path to /var/www/ — DeployBot’s SSH key was already added during the droplet creation. When you save server we’ll make sure that DeployBot can connect to it, but nothing will be deployed at this point. You’ll need to upload the db.php file to the server during the next deployment, and DeployBot's Configuration Files feature was designed specifically for that. It lets you store configs in DeployBot and upload them into a pre-defined location on the server. Go to Configuration Files inside your environment, create db.php file and insert its content from the local file you previously updated. 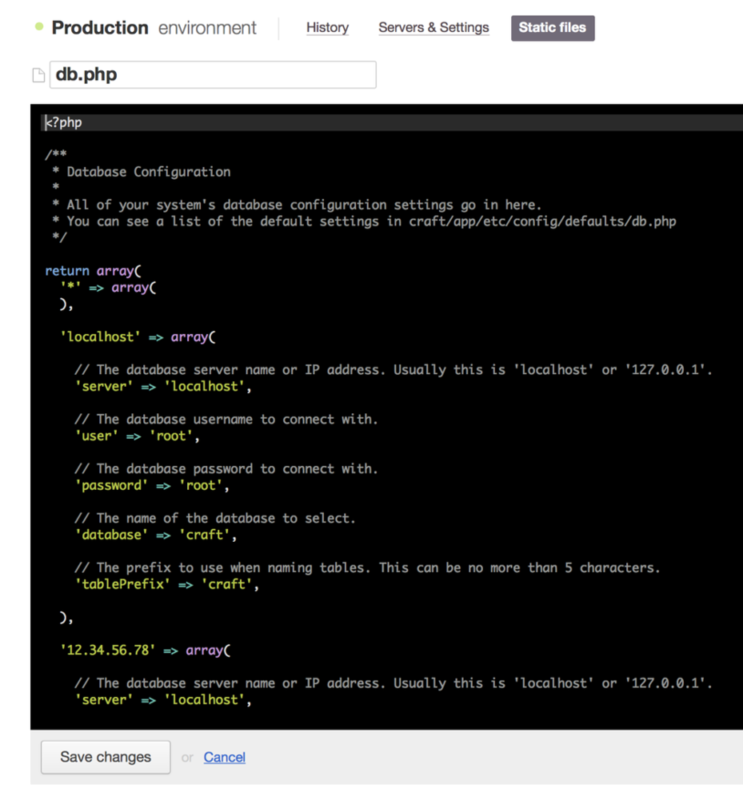 Now return to your server configuration and in the “Upload configuration files”panel choose db.php and specify the destination as craft/config/. Drumroll… It’s time to deploy! 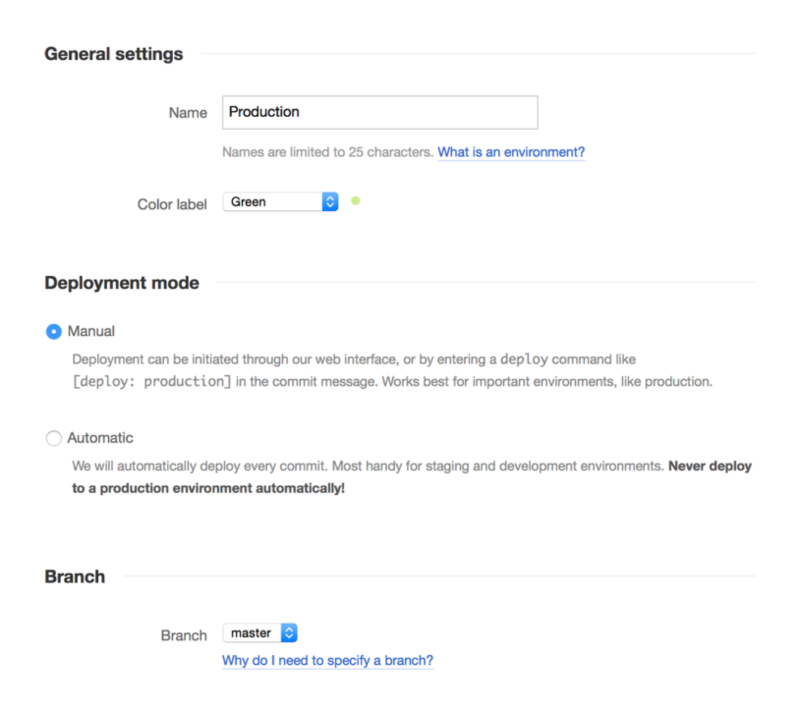 Click on the Deploy button in your environment and wait for it to complete. After that point your browser to http://‌‌12.34.56.78/admin/ or http://‌‌12.34.56.78/index.php/admin (use your droplet’s IP) — you should see Craft’s setup screen with a monkey. Congratulations, now you have a live Craft website and a proper development environment to work with! After code deployment, what's next? There are a few things you might need to take care of before considering this project finished. They’re not directly related to the topic of this guide, but still worth mentioning. Can’t get rid of index.php? Check the help article ”How do I remove index.php from my URLs?”. Most likely you’ll need to set AllowOverride to All in /etc/apache2/apache2.conf to enable .htaccess directives. Connect a domain. When a website is ready for prime time, point DNS of your domain name to a droplet’s IP address. Just remember to also replace the IP address with your domain name in general.php and db.php. Emails. DigitalOcean droplets don’t have a mail server by default, so Craft can’t send any emails to you or other users in your account. I recommend trying Postmark, our other product — it provides unmatched email delivery rates and comes with 25,000 free emails that should last you a long time. Create a Postmark account and server first, then go to your Craft’s admin and enter Postmark SMTP credentials in Settings → Email. Staging. A development environment and workflow can’t be considered complete without a staging server. Luckily it’s very easy to create one with DigitalOcean and DeployBot — clone your droplet, add a new environment in DeployBot, and then update your Craft config files with a new environment IP address or a host name. Security. Talk to a systems engineer or Craft’s support team to make sure that your setup follows best security practices such as using a non-root user.